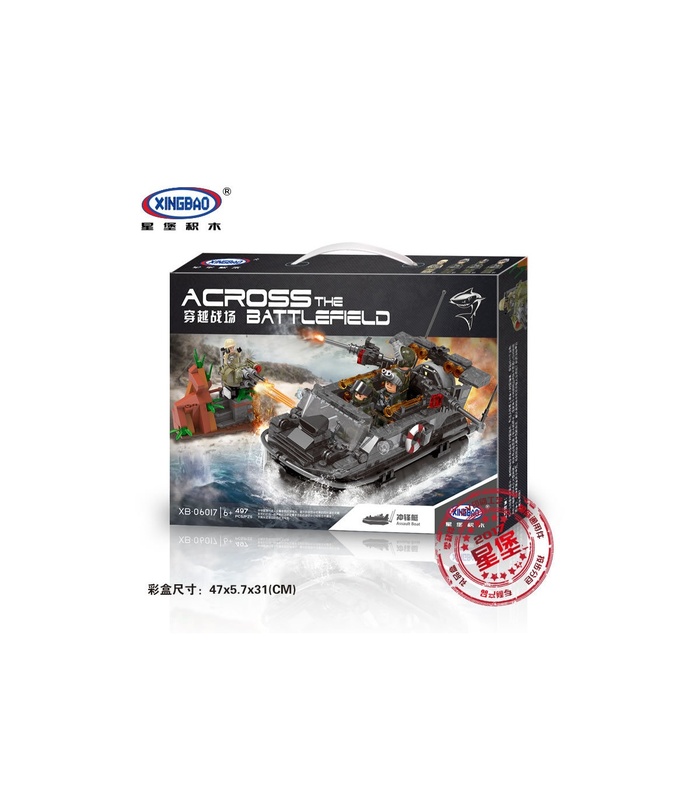 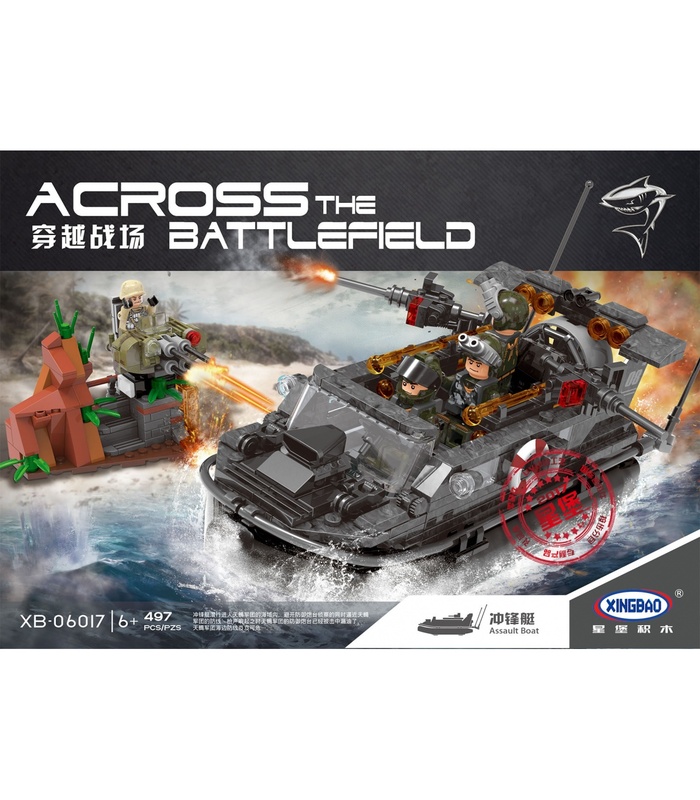 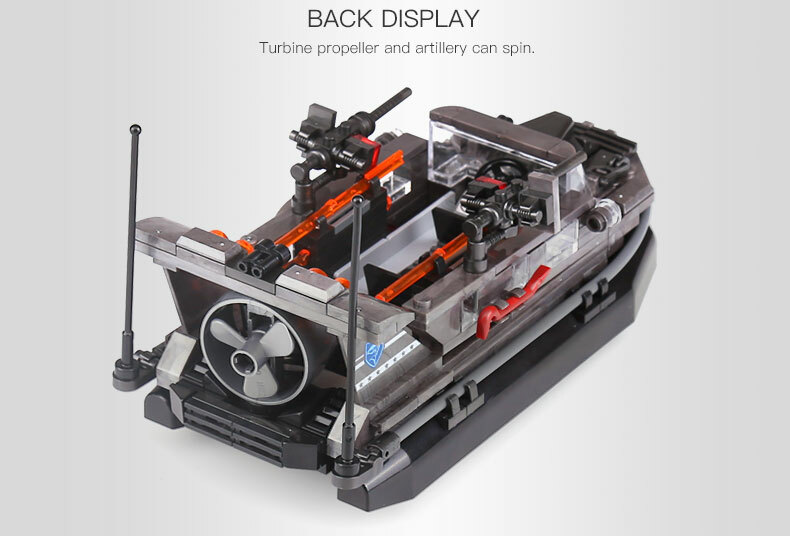 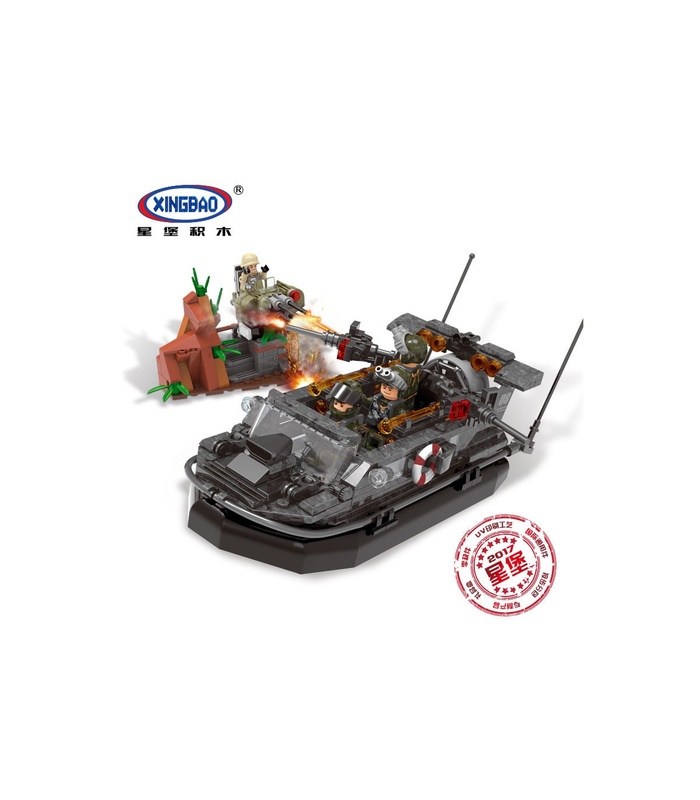 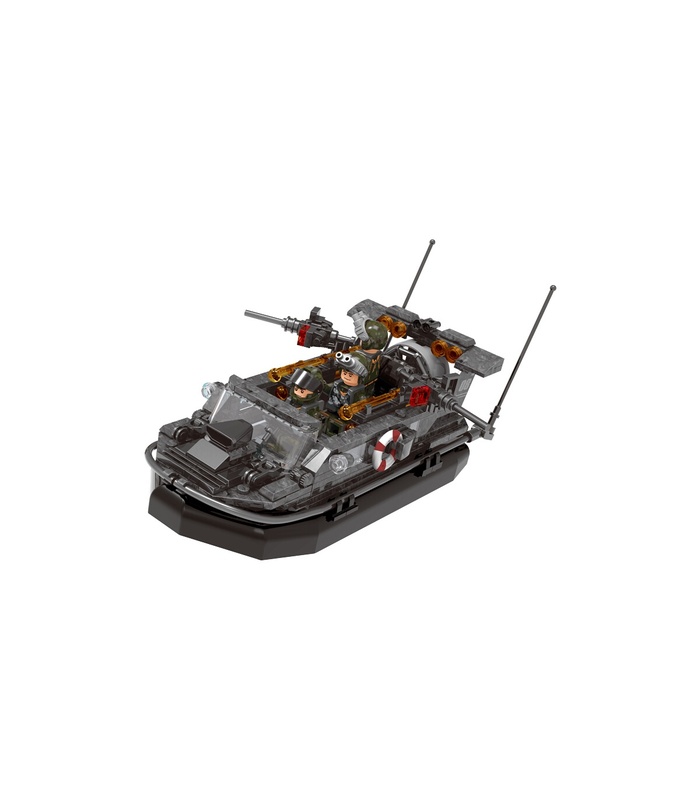 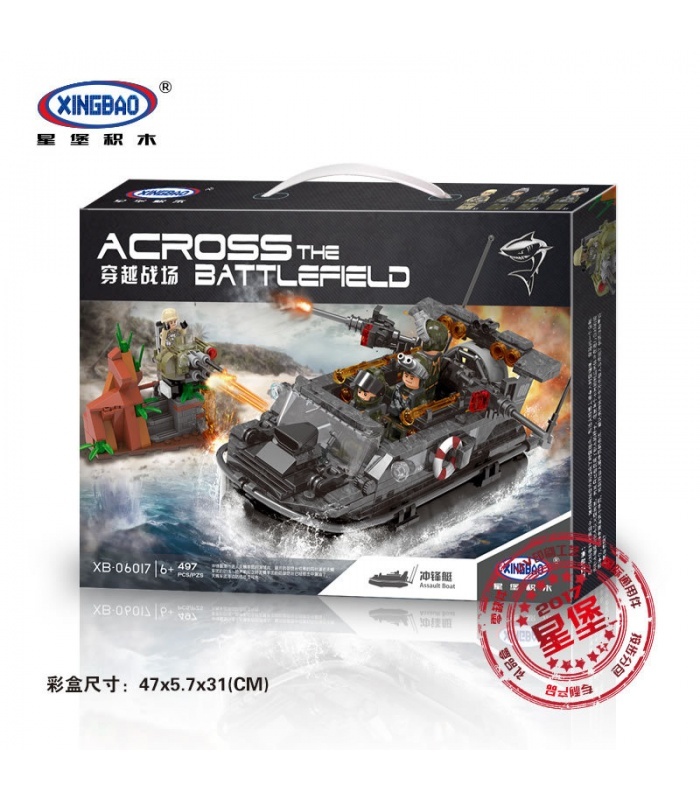 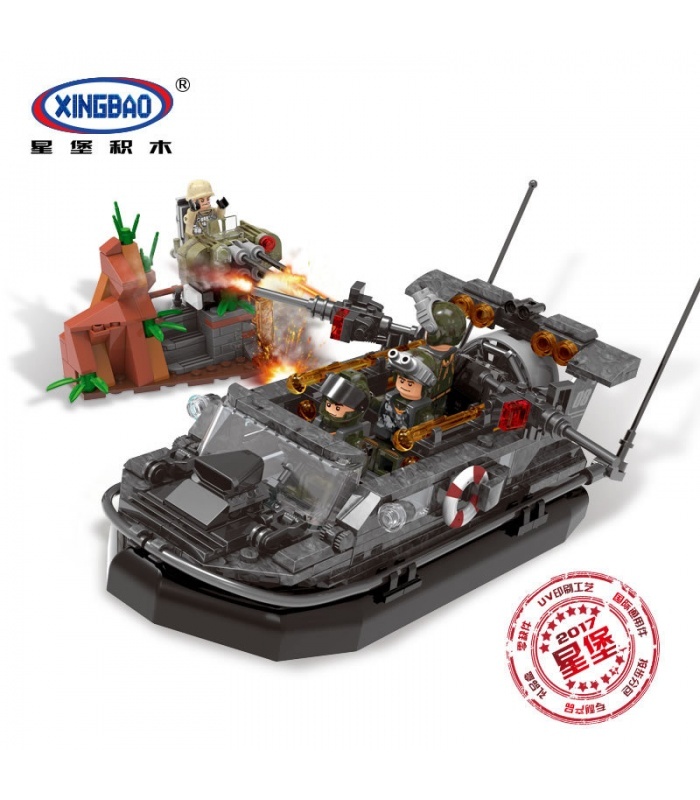 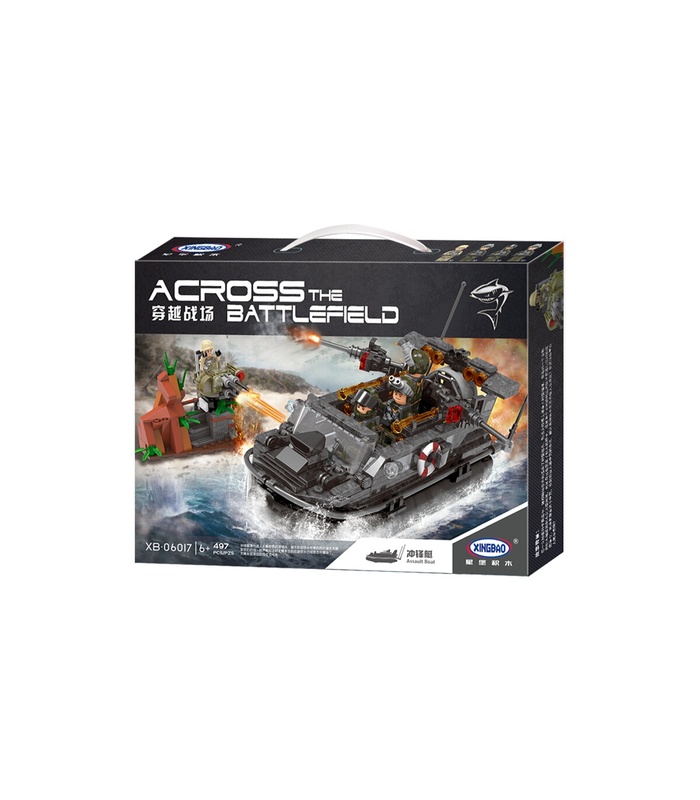 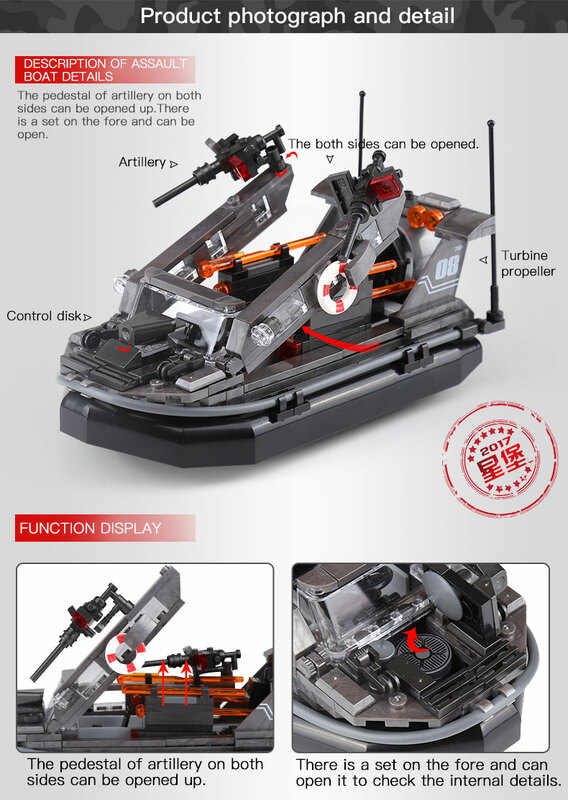 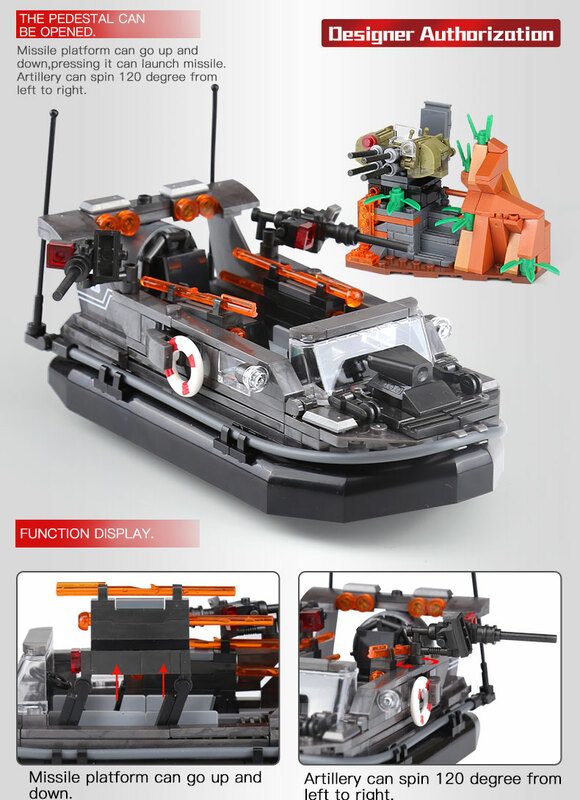 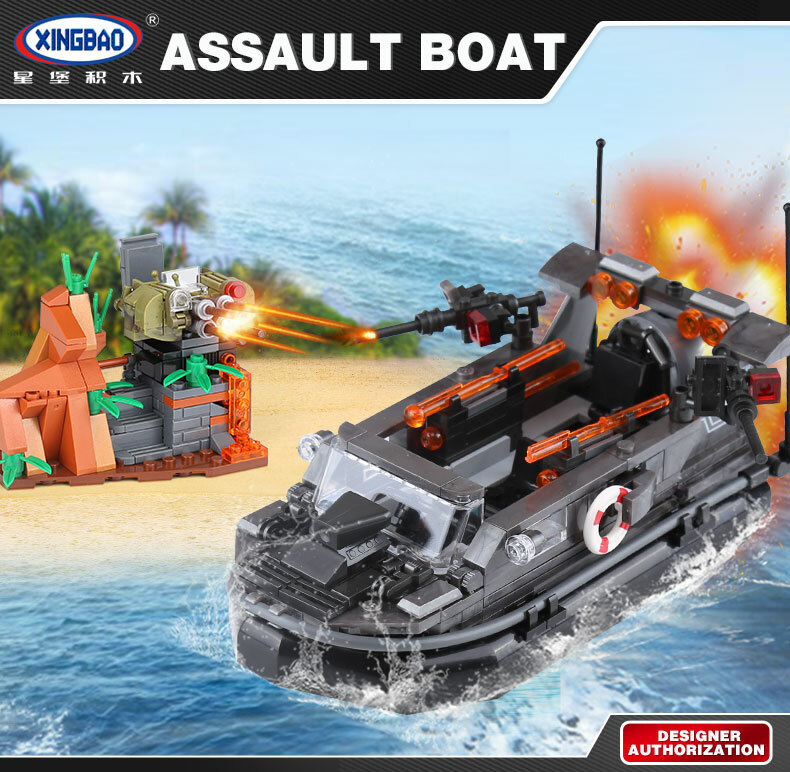 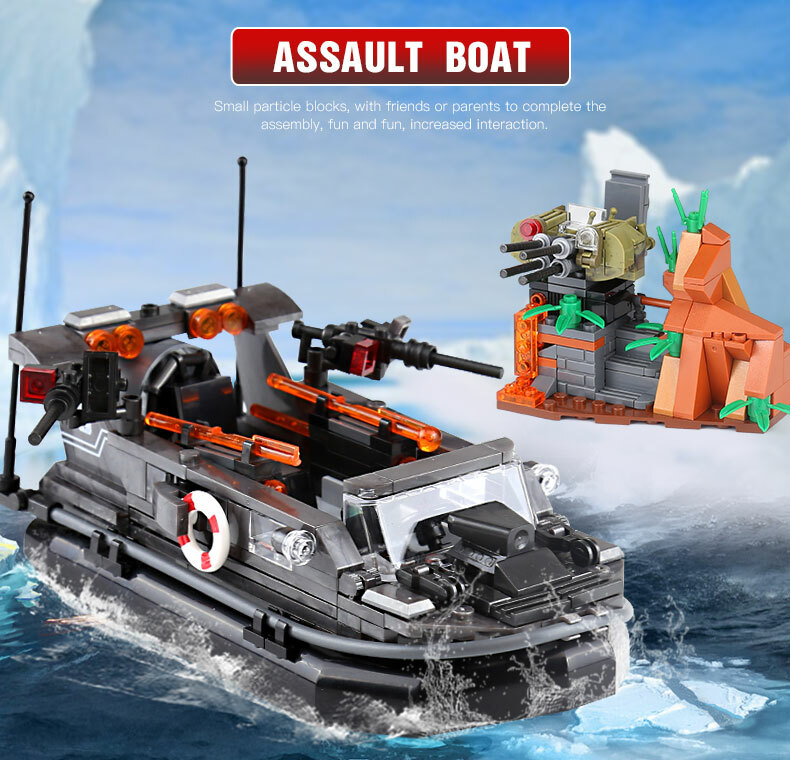 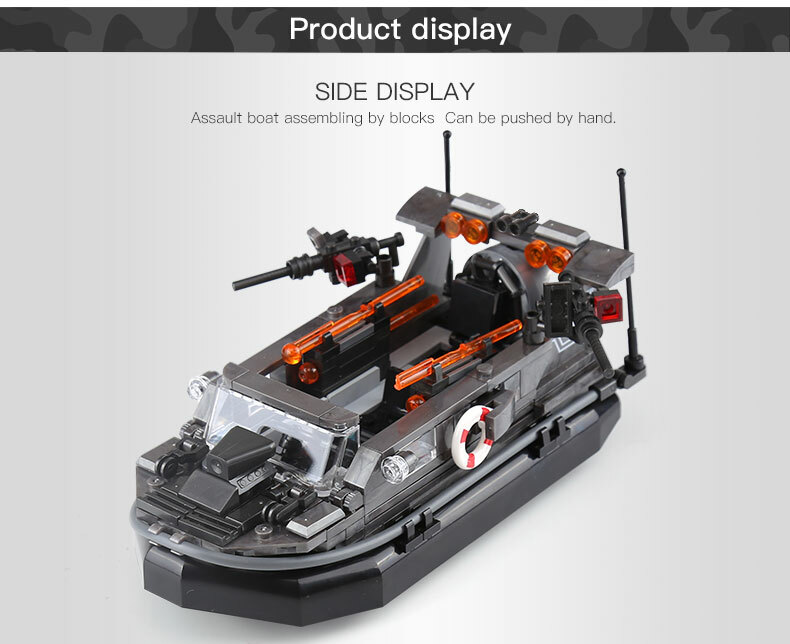 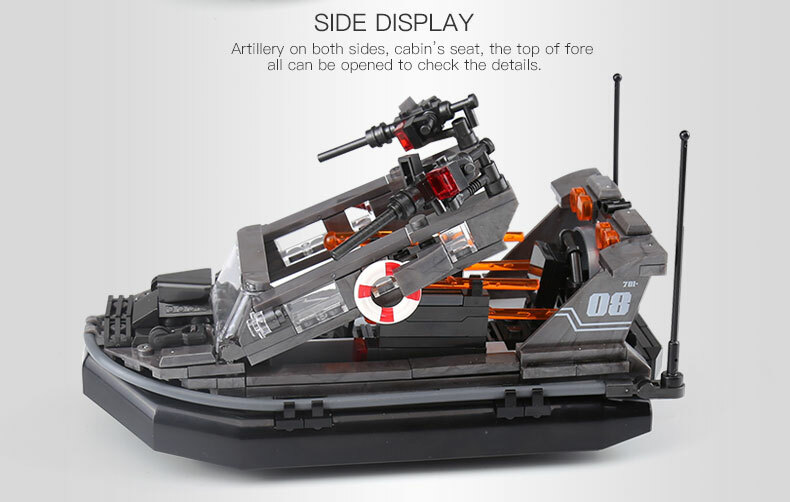 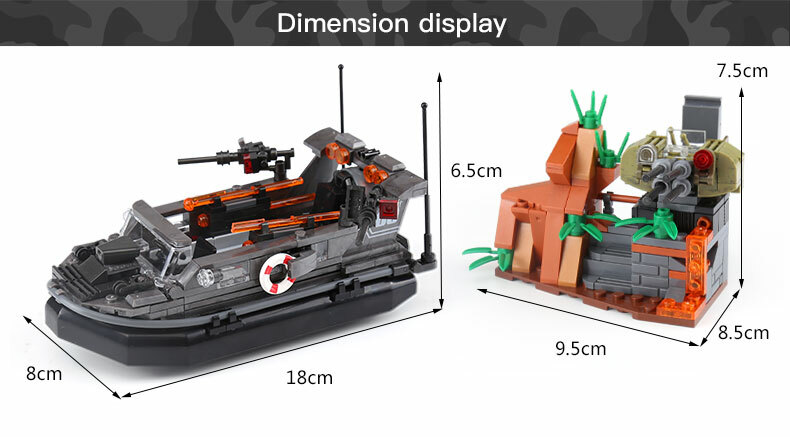 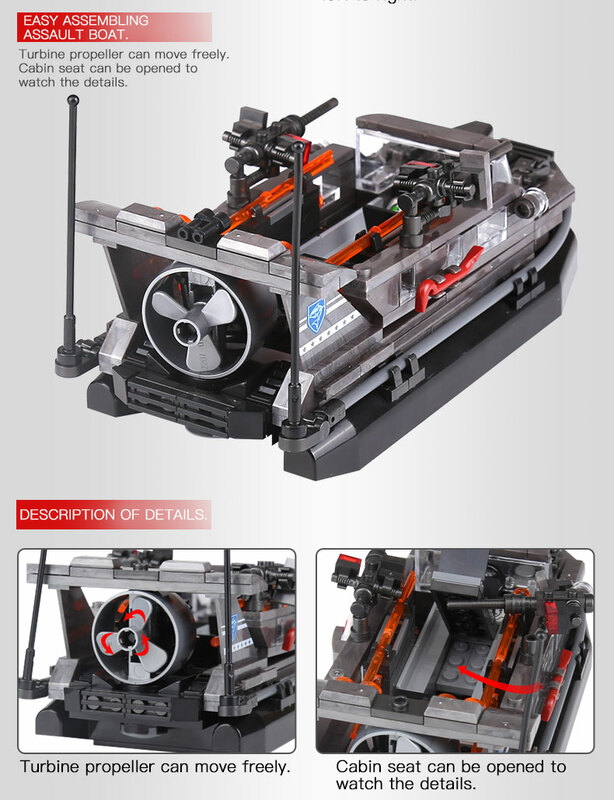 XINGBAO 06017 Assault Boat is a MOC (My Own Creation) building blocks set which is 100% compatible with all major brands building bricks. 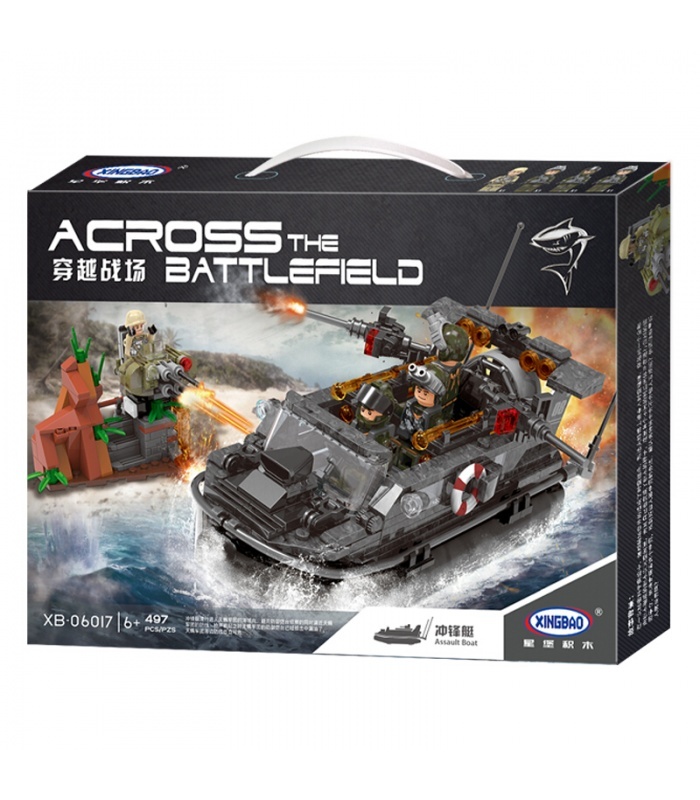 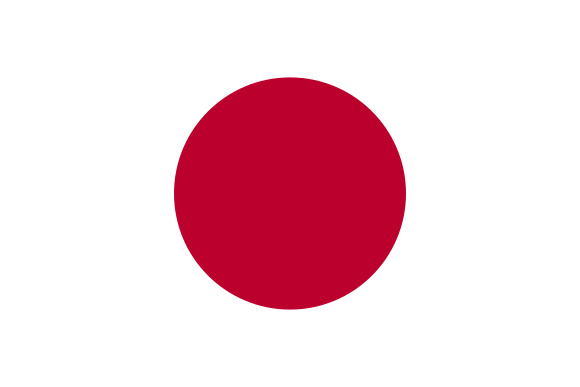 The assault submarine sneaked into the waters of the Scorpio Corps, avoiding the defense turret investigation and approaching the defense line of the Scorpio Corps. 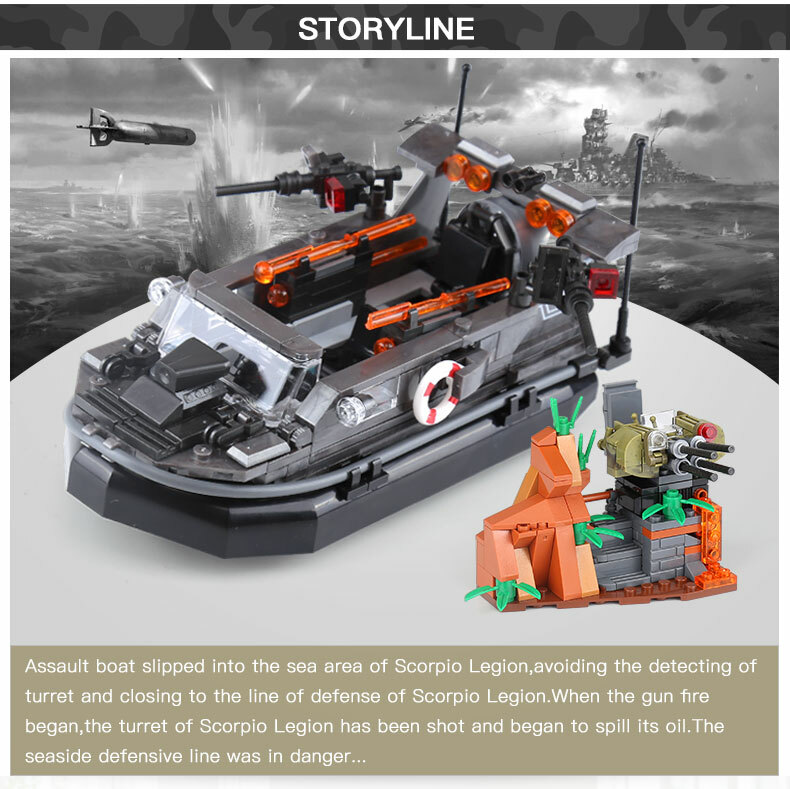 When the gunshots sounded, the defense turret of the Scorpio Corps had already been hit by oil spills, and the Scorpio Legion’s seaside defense line was in jeopardy. 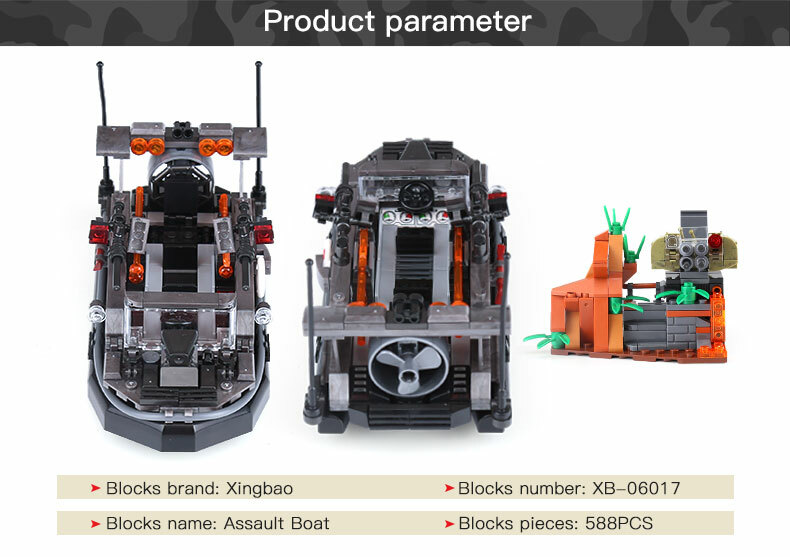 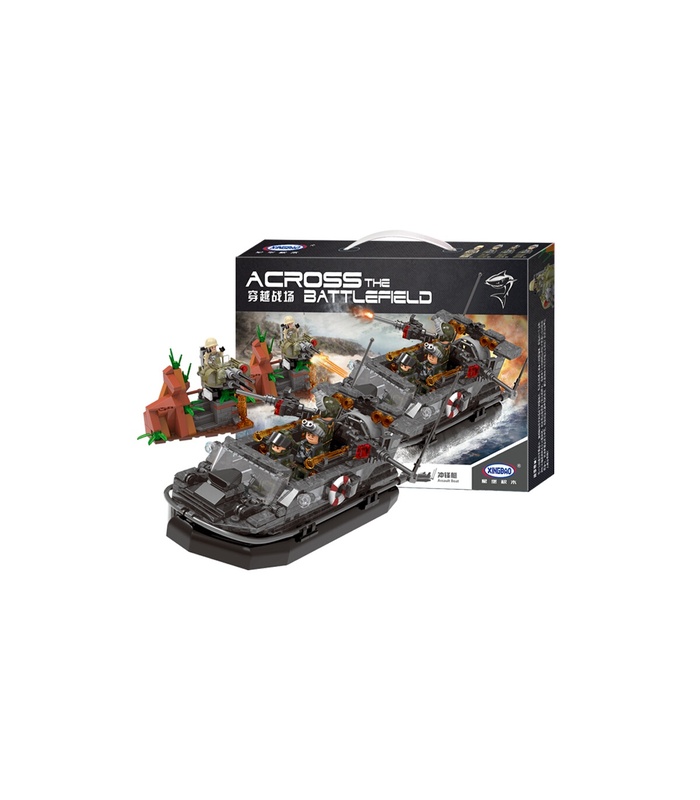 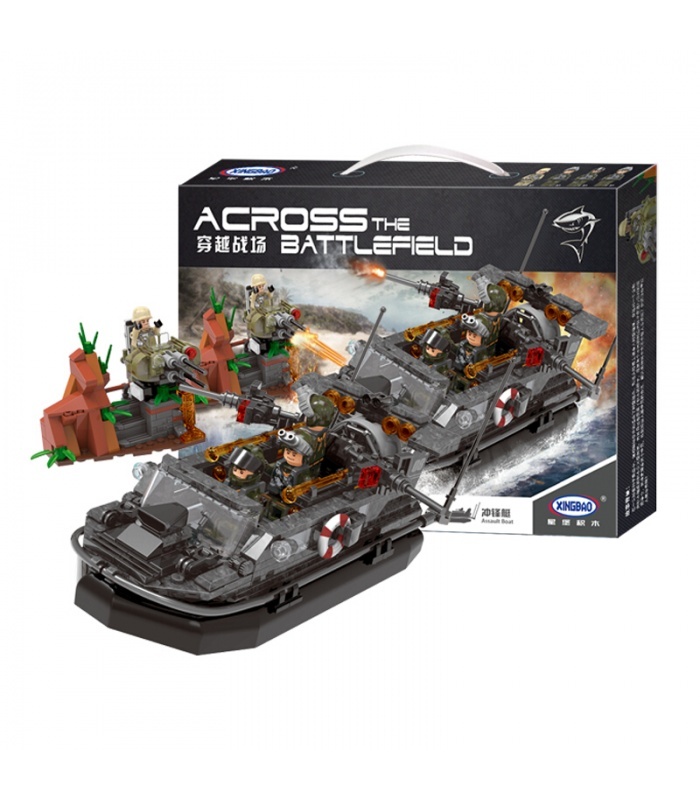 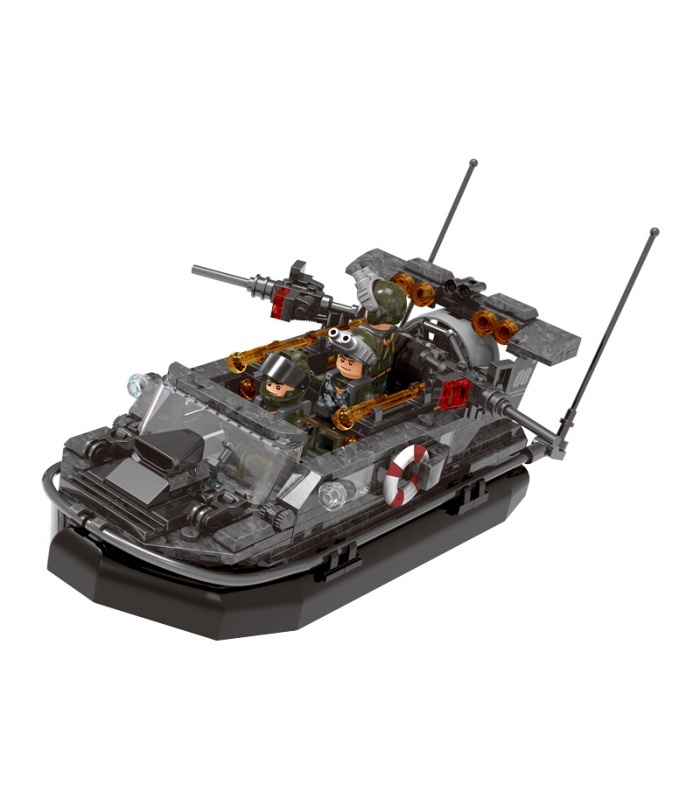 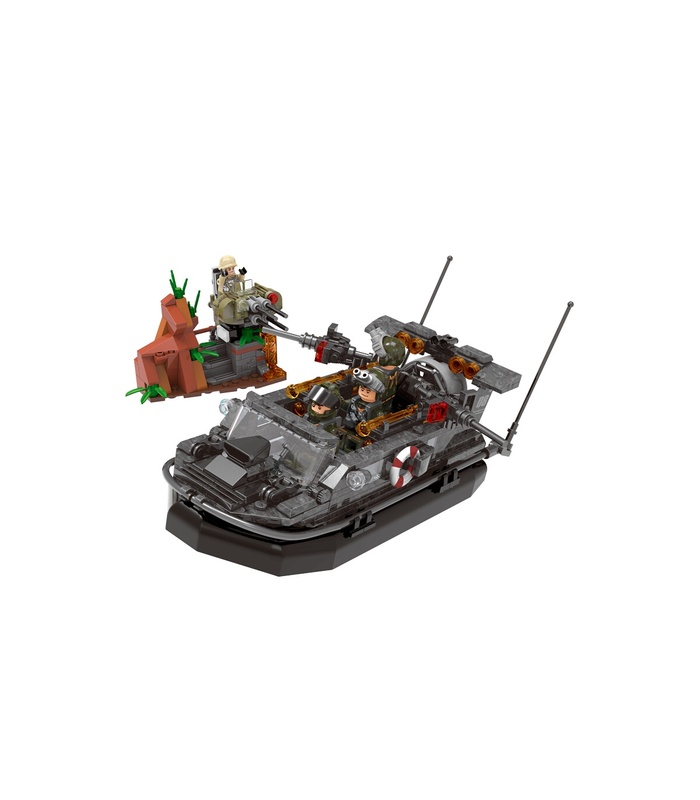 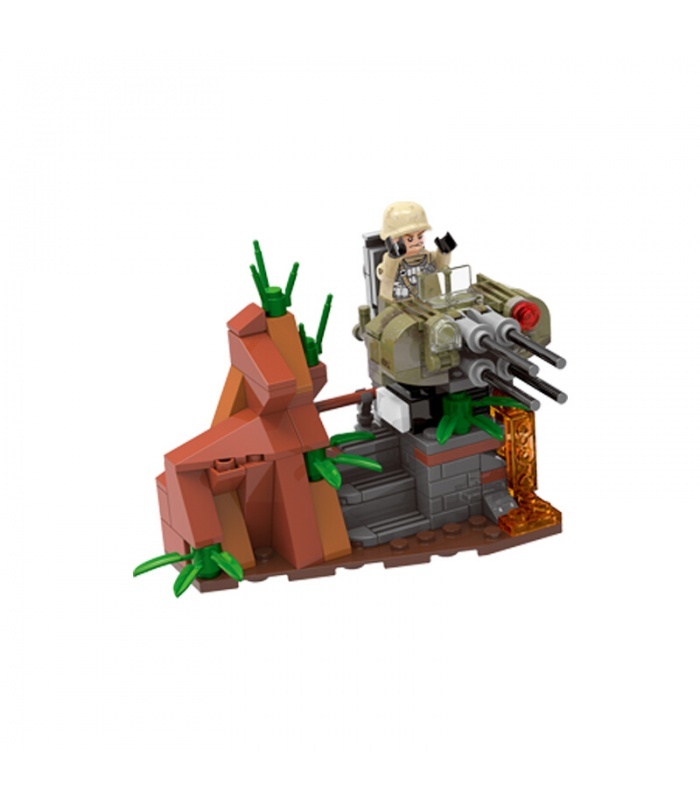 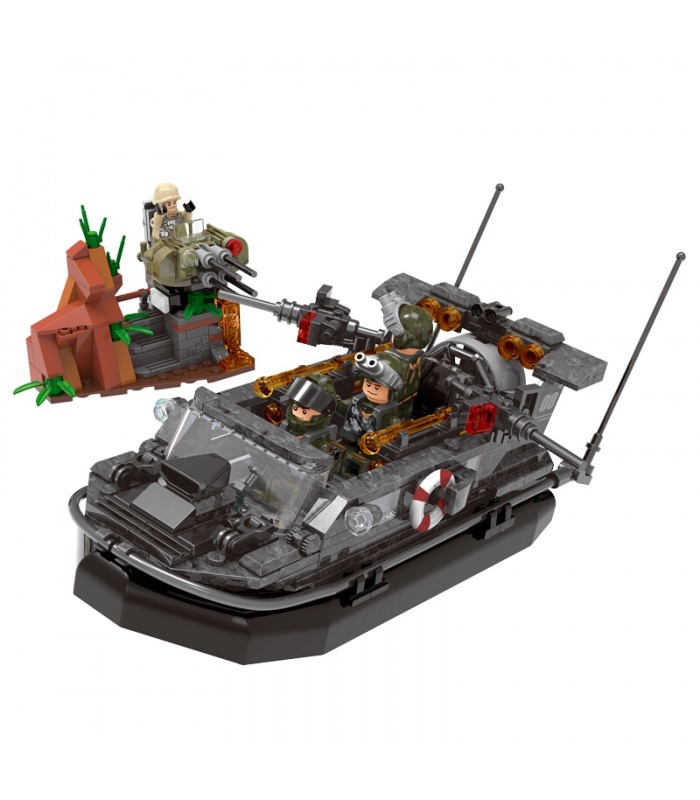 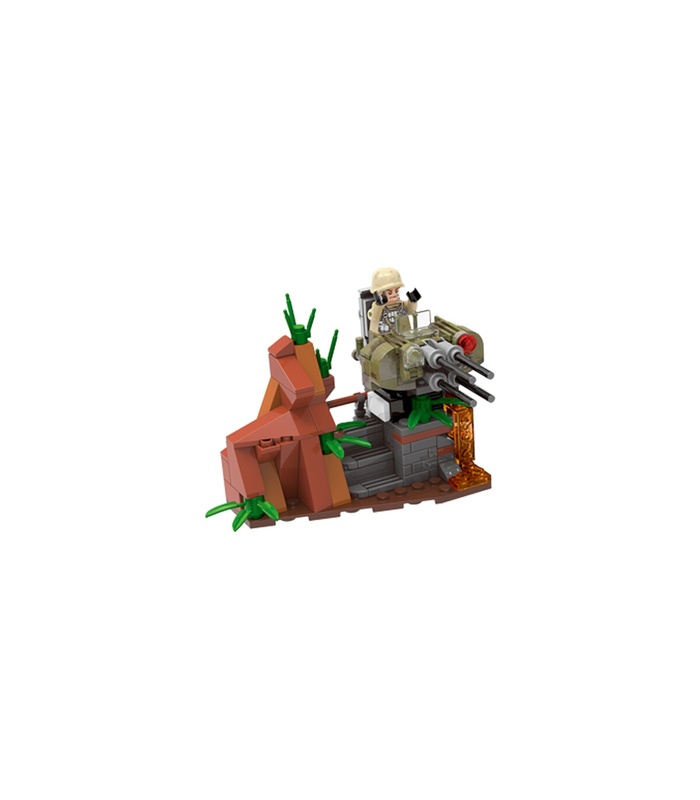 • This set is compatible with brand bricks and contains over 588 pieces.